We can assist in the selection and briefing of high quality, experienced contractors and specialist craftsmen, usually whom we know and have worked with before. 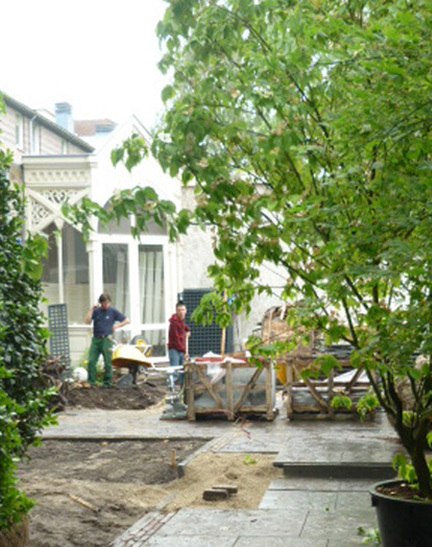 However, we are also more than happy to work with the clients’ own builders. Our work includes briefing contractors, obtaining and evaluating alternative quotes and instructing selected contractors and craftsmen. We have a wide knowledge of a vast range of garden materials and items, and good contacts with many suppliers. We can source and select (or help the client to select) all hard-landscaping materials including York stone, reclaimed materials, lighting, fencing, irrigation, garden buildings and structures such as trellis or pergolas. We can also recommend and source other garden items and accessories, including furniture, one-off architectural antiques, sculpture, pots and so on.